Patients at my Alma dental office often have questions about one thing: how to achieve a healthier, straighter smile. Straight teeth frame the smile. Straight teeth also make it easier to maintain a healthier smile, as it’s easier to clean the teeth. Patients often assume that they must have metal braces to achieve straight teeth. That’s far from the case. Today I want to show you how you can straighten your teeth without traditional metal braces — in half the time. Conventional metal braces are still the gold standard for those of us who are struggling with major alignment or bite issues, but there are now more modern ways to treat mildly crooked teeth. Here are two ways you can straighten your teeth at Mid-Michigan Dental Excellence: short-term braces and short-term aligners. Orthodontic treatments use pressure to move the root and crown of the tooth into a more ideal location. This is the basis behind every orthodontic option. Metal braces straighten teeth by moving the root and crown in two different stages. There is a better way. Fastbraces is a new orthodontic system that uses braces to drastically move teeth within a few months. Fastbraces uses a unique bracket design and super-elastic wire. Post-treatment for Fastbraces requires wearing retainer for just 15 to 20 minutes a day. Fastbraces is a fraction of the cost of conventional braces. I’ve found that many patients, especially my adults, are more inclined to commit to treatment if it takes a few months — which is the case of Fastbraces — instead of a few years — which is the case for traditional braces. Even though Fastbraces is quick, there are some patients who can’t stand the thought of braces. I completely understand the hesitation here. If you’re someone with a social job or public-facing job, you probably don’t want braces on your teeth. That’s why we have solutions like Invisalign and Red, White, and Blue Aligners to give patients a straighten smile without fixed appliances. These orthodontic solutions are similar, but Red, White, and Blue orthodontics are typically less expensive than Invisalign. These are just a few advantages of these short-term orthodontic treatments. We have so much more to tell you. Just visit our office or give us a call today at 989-796-4848. No More Damaged Teeth! 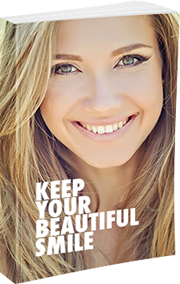 Fix decayed or missing teeth with strong, beautiful restorations that match your natural smile.